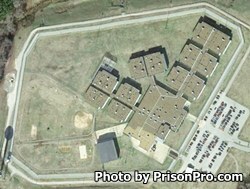 Whiteville Correctional Facility is a medium security prison run by the private company Corrections Corporation of America. It has a current maximum capacity of 1,619 male inmates. Offenders at Whiteville Correctional Facility can participate in a residential substance abuse treatment program designed to tackle an offenders addiction issues. Additional programs offered at this facility include individual and group counseling, anger management, various life skills education classes and pre-release counseling for inmates who are nearing their discharge date. All inmates who do not currently possess a diploma are encouraged to take adult basic education classes and obtain a GED. Vocational training taught at Whiteville Correctional Facility includes computer applications, small engine repair, electrical wiring, masonry and carpentry/woodworking. All inmates at this facility are provided necessary medical, dental and mental health services. Monday visitations occur from 5pm-8pm and are reserved for inmates who cannot have weekend visitation due to a scheduling conflict. For more information on visiting an inmate at Whiteville Correctional Facility read the visitors handbook, or contact the Visitation department at (731)-254-9400 ext. 40821.